An English sparkling wine was a top performer in the only blind tasting competition for organic wines from every corner of the world – The Global Organic Masters. Albury Vineyard was awarded a Gold medal for its organic sparkling rosé. 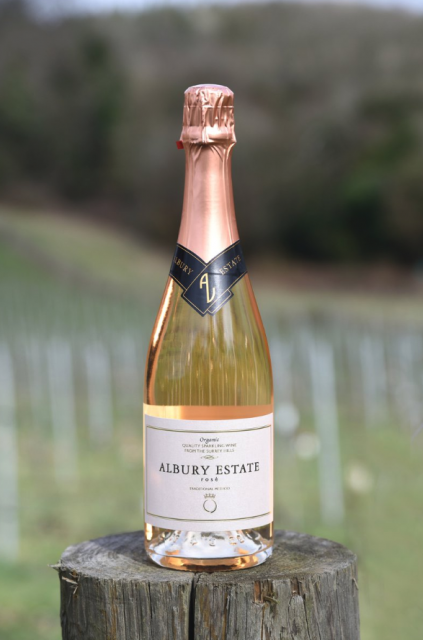 Gaining a Gold medal in the competition was Albury Vineyard for its organic sparkling rosé from the beautiful Surrey Hills, just outside Guildford in England. The result was made especially significant because of the calibre of the judges, who were all Masters of Wine and Master Sommeliers, as well as the fact that the only other sparkling wine to gain a Gold in the competition was a Champagne costing more than four times the price. Among some 20 sparkling wines entered into the tasting, which is open to any certified organic or biodynamic wine, just two Golds were awarded: one to Champagne Leclerc Briant for its cuvée ‘Abyss’, costing £150, and the other for the Albury fizz, which retails for £33. Planted in 2009, Albury has an organic 12-acre vineyard planted with Chardonnay, Pinot Noir and Pinot Meunier, as well as some Seyval Blanc and Pinot Gris, and produces around 20,000 bottles a year. The judges, who tasted the fizz without any knowledge of the identity of the wine, scored the sample extremely highly for its delicious combination of ripe crushed strawberries and gently creamy, bready characters, along with a refreshing rhubarb-flavoured bite on the finish, and a dry, cleansing, chalky sensation. Also performing well from England was the organic fizz from Oxney Estate in East Sussex, which gained a Silver medal in this year’s competition, and a Gold in the 2017 Organic Masters. 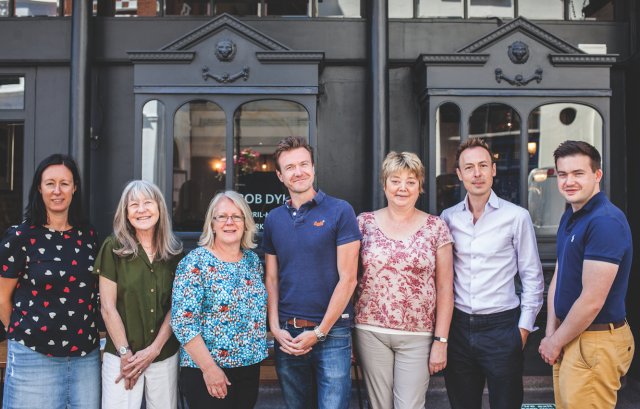 Both the Oxney and Albury samples in this year’s competition hailed from the 2015 harvest, which was a cool but high-quality vintage in England. Bearing in mind the growing demand for organic produce and English fizz, these two producers are able to tap into two prominent trends, while promoting the quality of their wines, according to the tough but accurate and entirely independent assessment achieved by winning big in the Global Organic Masters. As for the Gold-medal winning Champagne, that came from the biodynamic Leclerc Briant, a brand resurrected in 2012 by American investors, and curated by respected sparkling winemaker Hervé Jestin. Although this producer’s range of Champagnes are excellent, it was the new cuvée Abyss that gain a top score, a blend that has been aged at the bottom of the sea. The Organic Masters is a competition created and run by the drinks business, and is an extension of its successful Masters series for grape varieties such as Chardonnay and Pinot Noir, as well as regions such as Rioja and Champagne. The competition is exclusively for wines that are certified organic or made with certified organically-grown grapes, and also includes certified biodynamic wines. The entries were judged by a selection of highly experienced tasters using Schott Zwiesel Cru Classic glasses supplied by Wine Sorted. The top samples were awarded Gold, Silver or Bronze medals according to their result, and those organic wines that stood out as being outstanding received the ultimate accolade – the title of Organic Master. The wines were tasted over the course of a single day on 22 June at Opera Tavern in London. For a full report on this year’s results, click here. For more information about the Global Masters, see below. What makes the Global Masters unique? Unlike other international competitions, The Drinks Business Global Masters series is judged by grape variety, style or category rather than country. Such an approach eliminates the inevitable preconceptions that even the most professional taster encounters, allowing all wines to be assessed on a level playing field. It also ensures that the judges are focused entirely on the quality of the wine. Consequently, the results shine an unbiased light on the brilliance of the source area and the people crafting the wine from it. Due to the quality of the judges and the sampling process, the Global Masters provides an unrivalled chance to draw attention to hidden gems, as well as confirm the excellence of the renowned. All medal-winners feature in the drinks business, which is the world’s leading print, online and social media channel for dedicated news and editorial covering the wine, beer and spirits sectors. What makes the Global Masters professional? The Drinks Business Global Masters stands apart due to the professionalism of its judging process. Using only Masters of Wine, Master Sommeliers and senior buyers, the judges are all highly experienced tasters holding the highest qualifications in the wine industry. All the entries are tasted blind, ensuring that the judges have no knowledge of the identity of each wine beyond its price band and basic style. No judge will be required to taste more than 60 wines in a day, giving them enough time for each sample to be discussed, and eliminating the risk of palate fatigue. A minimum of three judges will assess each wine, assigning a score to every sample. Once a score for each wine from every judge has been revealed, and the reasons for the result given, the chair of each judging group will compile an average score, and award a medal accordingly. Each wine is scored on the 100-point scale with pre-set scoring bands corresponding to the medals awarded, which range from Bronze to Gold, and Master – the ultimate accolade awarded only to outstanding samples. The judges are told to consider the resulting medal when assigning their score. The bands are as follows: 85-88 – Bronze; 89-92 – Silver; 93-96 – Gold; 97-100 – Master. Although the judges are tough, they are accurate and consistent, and the open judging process allows for debate and the revision of initial assessments. Within the style and price category, the judges are looking for appropriate flavours – be they attributable to the vineyard or the winemaking processes. They are also in search of complexity, intensity and persistence at levels expected of the style and price band. In particular, the judges will reward wines highly if they have both balance and personality. The wines are tasted in Schott Zwiesel Cru Classic glasses supplied by Wine Sorted. For more information on the competitions, and how to enter, click here.